When the very sleepy bear gets woken up by some animals making music near his cave, he goes to confront them. But, the friendly animals ask if he wants to join in the music-making fun. Bear tries to find an instrument he can play. He tries jungle drums, a striped guitar, and a trumpet, but it’s a lot trickier than he expected! Luckily, bear persists and he manages to find his musical talent that gets everyone up and dancing! 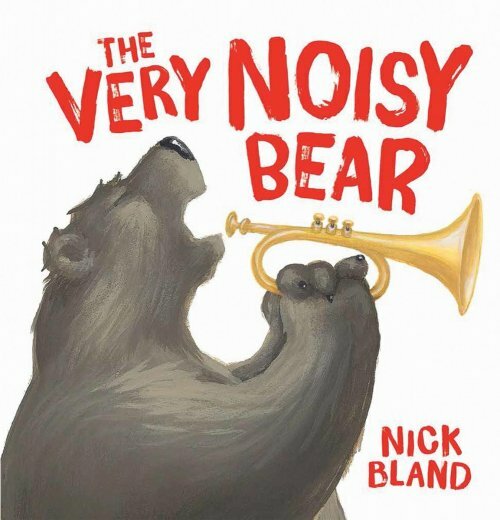 The Very Noisy Bear is a rhyming book that just begs to be read aloud. It features beautiful descriptive language which makes the story come to life. The clear sequence of events makes this a great choice for targeting young children’s narrative sequencing skills. Children especially love copying the action words. They can have a go at playing the drums; strumming the guitar; blowing the trumpet, and roaring into the microphone. For further speech and language targets in The Very Noisy Bear, see the list below.